This fudge is easy to make and super-duper tasty. It also keeps for a long time in the refrigerator…so it’s the perfect thing to whip out for dessert, give as a holiday gift, or take to a party at the last minute. Just watch out – once you have one piece, you’ll definitely have another. 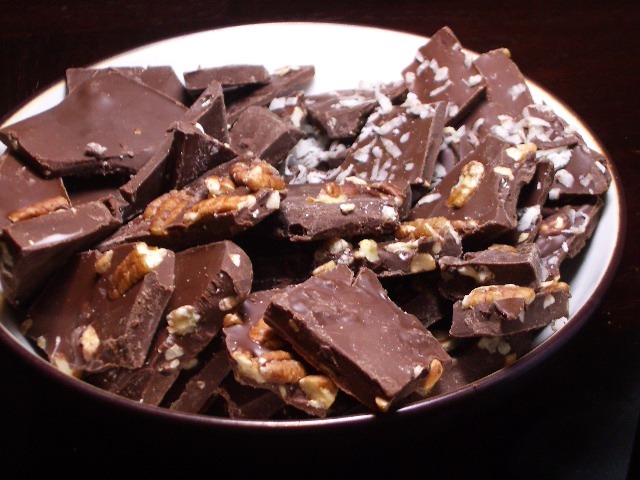 Break off 9 squares of the almond bark, and melt (either using your microwave for 1 minute intervals, stirring after each interval to avoid burning, until melted, OR in a glass bowl over a pot of boiling water). 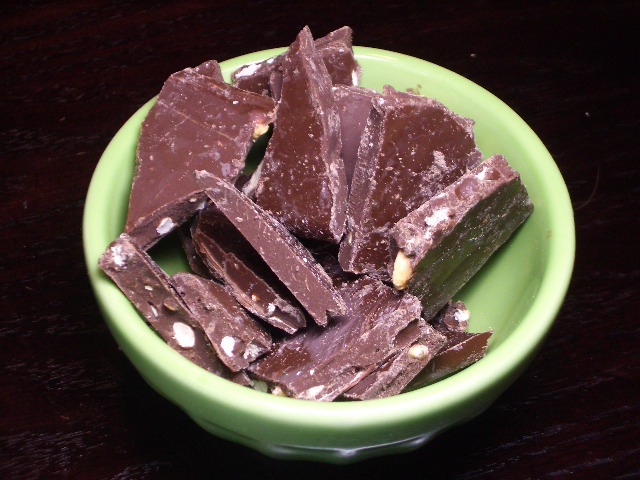 Pour 2 cups chocolate chips into the melted almond bark and stir. This will melt the chocolate chips. Stir in 1 cup of (extra) crunchy peanut butter. 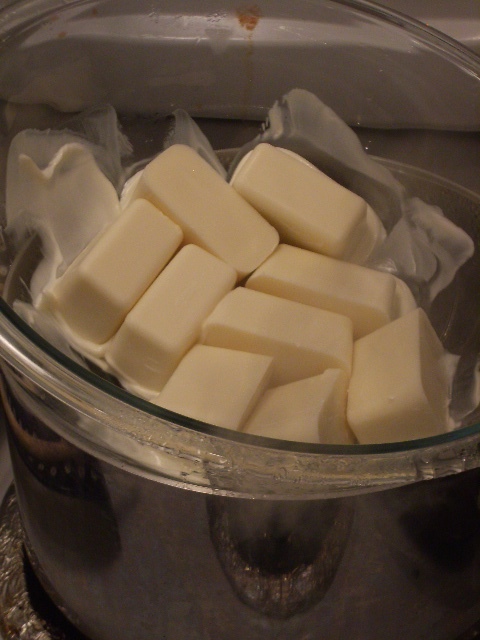 Spread mixture onto lined (either with parchment paper or greased with butter) baking sheets, and refrigerate until hardened. Once hard, break the fudge into pieces and EAT. Store in the refrigerator – this will keep for a long time. *You can add any other candy/flavor that you can think of. 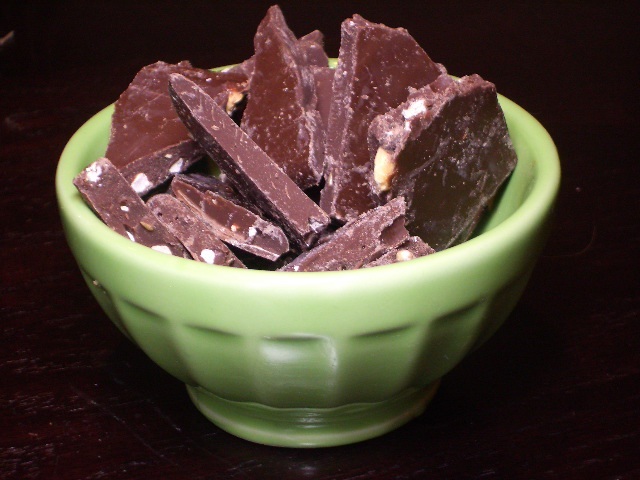 You could try white chocolate chips with peppermint peices, or use Heath Bar pieces, crushed Thin Mints, etc. 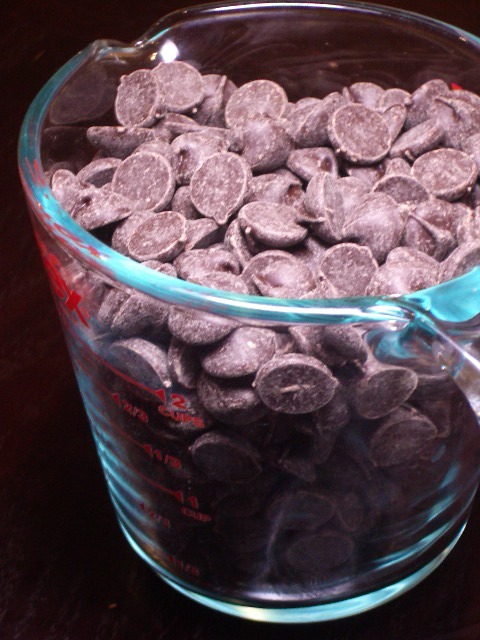 Not a spectacular picture, but it shows the deliciously large Ghirardelli chocolate chips that we used. This picture shows a few variations that we made: We topped the warm fudge with pecan pieces and coconut before refrigerating. Both were delicious. This recipe comes from my mother – not sure where she got it. No one ever guesses how easy it is to make. Happy eating! delicious! i still have some in my fridge from christmas!